If we've learned anything from the Halloween franchise, it's that Michael Myers just won't die. That appears to hold true for the long-running horror series as well, as yet another chapter in the saga is in the works and should be coming to a theater near you in the coming years. "It’s been a joy to work with so many creative people – ten films. We’re working on eleven as we speak. We’re working on a script right now. A new draft – perfect timing – is supposed to hit the day before Halloween. Hopefully my Halloween night reading will be a good read." The Halloween franchise has been dormant since 2009, the year Rob Zombie's Halloween II came out, and it's not incredibly hard to see why it's taken so long for the franchise ball to start rolling again. Not only did critics eviscerate the movie, it also didn't exactly perform too well at the box office. While it was made for just $15 million, by the end of its worldwide theatrical run it only managed to make $39 million. This was quite a bit less than Zombie's 2007 reboot, which was able to make $80 million when it was first released. As you can imagine, one of the biggest hanging questions is exactly what direction this new movie will go in. Will it follow the Rob Zombie-created continuity, or will it be its own thing? 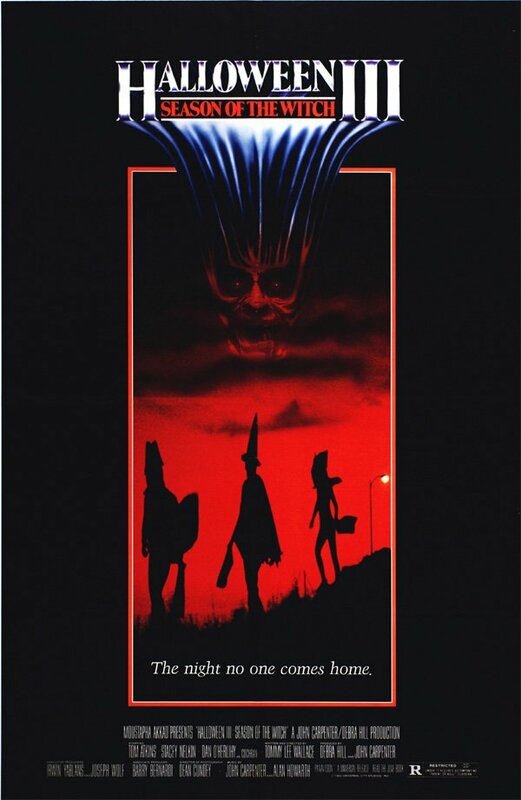 Hell, let's not forget that this was the franchise that brought us Halloween III: Season of the Witch - a film that didn't feature Michael Myers and was instead about deadly costume masks intended to kill trick 'r treaters. Maybe this new sequel will follow in that tradition. We've been hearing about a new Halloween movie for a few years now, but this is still a nice update on the project, and it's nice to know that the filmmakers are still serious about getting the movie made. I suppose all we have to do is hope that the next sequel winds up being better than the ones that have been getting made since the early 1980s.